If you hit the drive-through window only to hem and haw over whether you're just getting a burger or if you should throw some fries in the bag, this deal is for you. 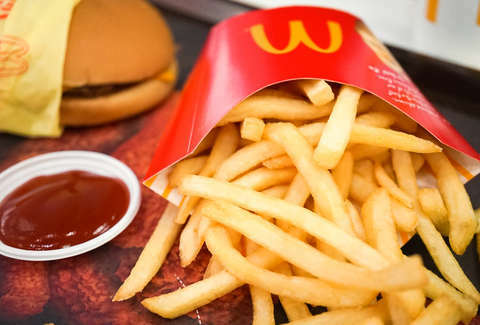 The nation's second-best fast-food french fries can be attained by downloading the McDonald's mobile app and registering for a free account. The app has been loaded with all kinds of deals -- not dissimilar to the kind of deals you find on the Wendy's app -- that will help you make the most of your trip to the Golden Arches. Other deals include a free medium soda with a $1 purchase or free hash browns with the purchase of a breakfast sandwich. Fortuitously, National French Fry Day falls on a Friday this year (fry day on a Friday?). That means you'll be able to celebrate the nation's favorite side dish with a free 340-calorie serving of fried potatoes.